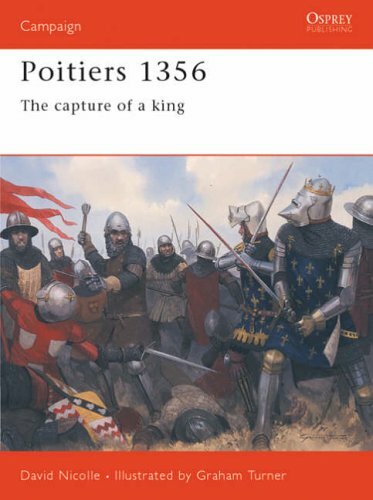 Opsrey's examination of the Battle of Poitiers, which was fought between France and England in 1356. When Edward the Black Prince marched out of Gascony in August 1356, his plan was to carry out a large-scale destructive raid into the territory of the French King, John II. On 18 September, however, he was cornered south of Poitiers by a larger French army, and was left with little option but to fight. The ensuing battle proved an unmitigated disaster for the French. Their army was butchered and the King himself captured. In this volume, Dr David Nicolle details a campaign that enhanced the reputation of the Black Prince and led King John to catastrophe.